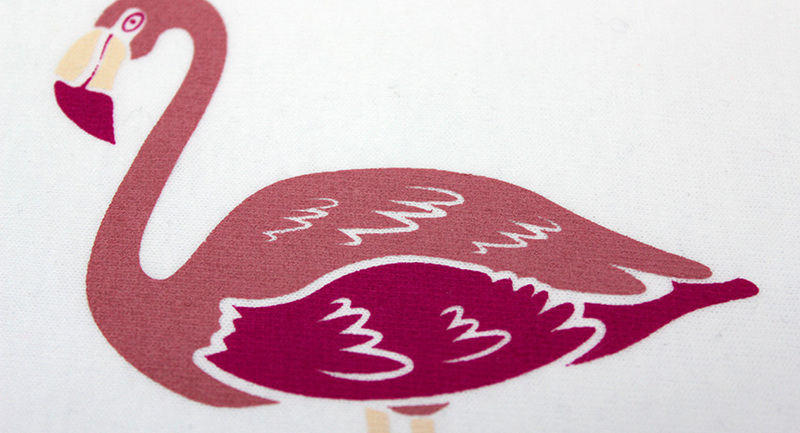 Hot Split transfers are screen printed transfers in up to 6 colours. It gets the name from the fact that the ink on the transfers 'splits' when heat pressed and the backing has to be removed while hot. Hot Split transfers are popular with our clients who want vibrant colour but also a soft feel to the transfer suitable for everyday wear. 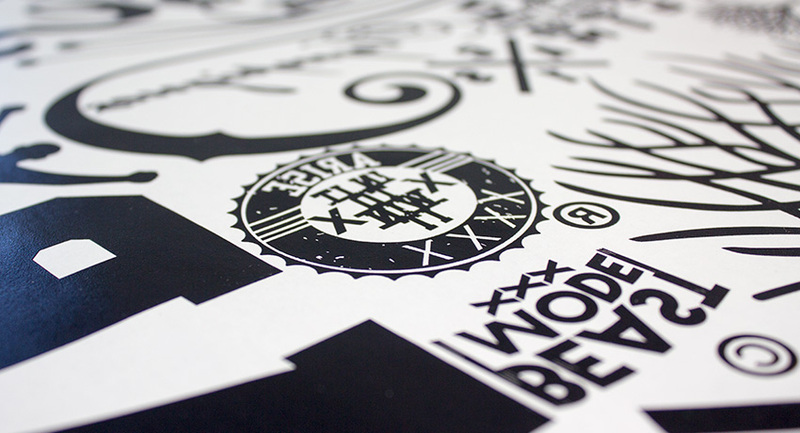 This type of transfer is ideal for designs that require a vintage look or a 'distressed' style. It is equally at home with bright, cartoon style designs. Hot Split Transfers are a popular choice of transfer. The backing must be removed while hot and so a little bit of practice is necessary with these transfers. The end result, although not quite as bright on dark garments or as detailed as standard plastisol, is a light, soft feel suitable for everyday wear. Hot Split is very versatile and is popular with clients seeking a vintage look or a 'distressed' style. It has also proved very successful at producing bright, cartoon style designs. Our friends at Tee and Toast have had a number of Hot Split transfers from us. Having several different designs on the same sheet allows them to have a wide range of designs while keeping the overall costs down. 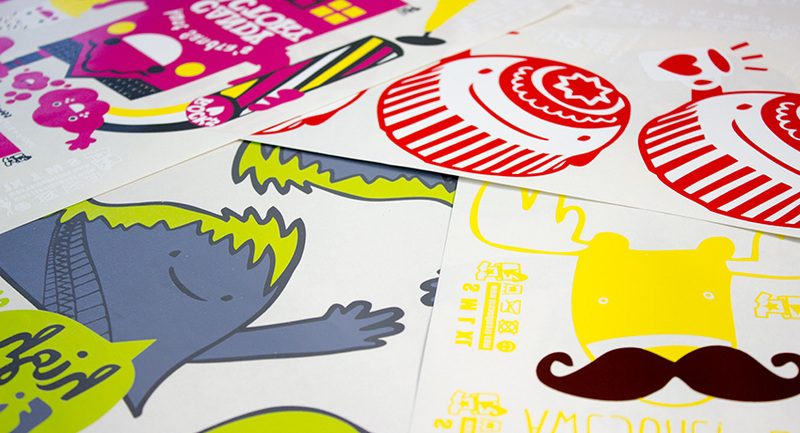 The hand-drawn style, bright colours and playful designs are perfect for Hot-Split transfers. Giving a durable yet soft feel finish ideal for everyday wear. Why not check out their website at www.teeandtoast.com? Although Hot Split transfers often tend to be bright, multi-coloured affairs they can be very effective when using just a single colour. Combined with a 'distressed' look this can give a fantastic vintage look and feel to garments.